This idea, now being looked at closely by the Bath and North East Somerset Council BAthNes was first brought to the attention of the BathNES Council 3 years ago by the organization Bath Trams, https://bathtrams.uk/, chaired by Dave Andrews, which is campaigning to bring back trams to Bath ( 1904 – 1939) and Bristol in order to solve traffic congestion. At that time there was opposition to plans for a Park and Ride on The Bathhampton Meadows adjacent to the bypass (now abandoned). The idea was in a dossier presented to the Bathnes Council Cabinet at a briefing, which lead to BathNES Council, hiring Atkins and Partners to look at the idea, and which came up with a positive response : https://www.newcivilengineer.com/tech-excellence/atkins-study-finds-bath-tram-system-feasible/10027203.article and now also the West of England Combined Authority, WECA, is looking at re-tramming Bath and connecting it to Bristol via a tram line (also other solutions). plans, the right hand lane, ( say ) would become single carriageway, like the rest of the A46, and the left hand would become a herringbone style linear park and ride, with a mini- shuttle bus constantly cruising to pick up parkers, just like at airports. ( it may be necessary to swap over the side which is closed at the interchange slipways) The mini buses would deliver parkers to a 6 minute interval tram line running into Bath. This can create 800 spaces. Furthermore, Bath Trams proposed a mezzanine floor over the bypass, ie roofing over the cutting, further up, with room for another 1,000 cars. “The P&R facilities at Ingliston, near Edinburgh Airport, were little used when introduced as a car park for commuters to take a bus into the city and its office areas. There were always plenty of spaces. However, after introduction of the trams, they are now used well beyond capacity, probably 120% most days. Parking takes place on the pavements, over double yellow lines, and anywhere a car can be squeezed. Parking is free all day, and the buses on different routes still stop there, for a miniscule number of passengers. The number of tram passengers using the P&R is huge. The cars left there during the day do not contribute to Edinburgh congestion or pollution, fall into the numerous potholes, or add to wear and tear of the roads. There is a drastic need to extend the P&R facilities, and also to run shuttle buses to it from outer residential areas of the city. Under the proposals, traffic would run in both directions on one side of the Batheaston bypass. On the other, cars would park at an angle to the road in a herringbone pattern (Image: Google)Transport chief Mark Shelford is backing a radical but “elegant” solution to some of the issues east of the city – parking 100-plus cars on one carriageway of the “underused” Batheaston bypass. Little engineering work would be needed, just some painted lines, and it is on an existing bus route.The biggest hurdle would be getting the Department for Transport to hand over the road to Bath and North East Somerset Council. Its officers are currently drawing up a technical study, Mr Shelford said. Councillor Shelford, the cabinet member for transport and environment, said: “It’s such an elegant solution to a problem. When you see it you think, why haven’t we done it before? We could use what we’ve already got. Only a section of the Batheaston bypass is being looked at. It is currently a dual carriageway, separated by a central reservation. 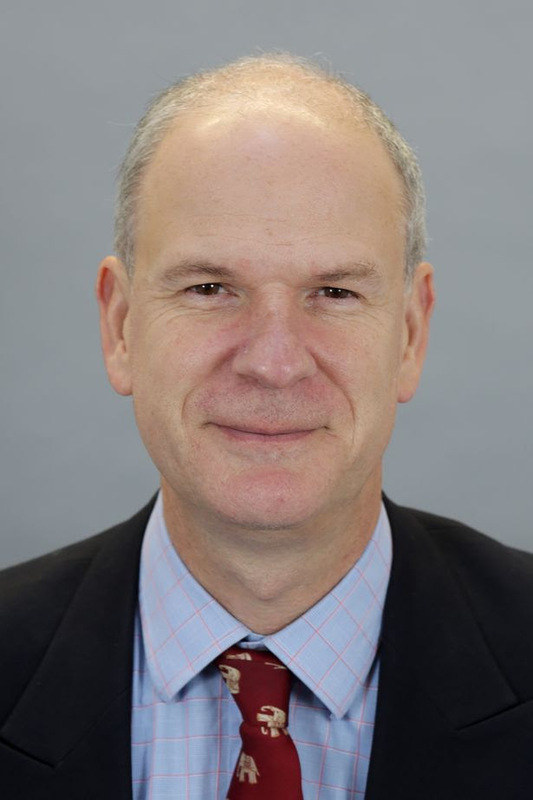 Councillor Mark Shelford(Lyncombe, Conservatives) is cabinet member for transport on B&NES CouncilUnder the proposals, traffic would run in both directions on one side. On the other, cars would park at an angle to the road in a herringbone pattern. The bus would run along that road and there would be periodic stops for drivers to walk to, via a footpath. It is on an existing bus route so B&NES Council would not have to commission a new service. Cllr Shelford said the park and ride would only be small with “100-plus” spaces; other facilities have 600-800 spaces. A technical study on the proposal is due by the end of the year. More details will be made public in the coming months that Cllr Shelford will use to lobby Government. He said “I wish I could say it was a Shelford Idea. I first heard it three years ago from Engineer and Bath Trams campaigner Dave Andrews, a power house of ideas. I’ve increasingly become interested in it. “The tricky thing will be getting the Department for Transport to hand it over. At the moment they’re very resistant to handing over any road to anyone. “Nothing in this world is easy – but with a fair wind, enthusiasm and resilience we will get there. “This is part of the solution. We’re also looking at two of the small park and rides sites we originally discounted because it was going to be too expensive to do. We wanted to spend one lot of money on one big site. The two other sites were taken from a long list of 32 options, they are also on bus routes – and they are “nowhere near” Bathampton Meadows. Plans for a park and ride on the meadows were dropped last July after heated protests. Campaigners were delighted this week to receive assurances from across the political spectrum that the meadows would be protected. There are currently three park and ride facilities, all on the west side of Bath, in Newbridge, Odd Down and Lansdown. The Odd Down park and ride service is one way of getting into BathCllr Shelford said: “There was always meant to be a park and ride on the east. “The meadows prevented that plan. We needed to draw breath to think about how we continue and what’s important. “I think this [the Batheaston bypass park and ride] is a creative solution. I said to the officers to be brave to experiment. “It’s only by experimenting that we find out. This won’t be massively expensive, and we can reverse it. “It took a lot to rebuild the officers’ confidence post the Bathampton Meadows park and ride decision. Cllr Shelford said the council was not afraid of making unpopular decisions: it had raised parking charges, and that had encouraged more people to use the park and ride facilities, reducing congestion in Bath. He wants to change the charging regime at park and ride facilities so users pay by the car rather than by the passenger on the buses, and to charge by vehicle emissions. He admitted that the Batheaston bypass park and ride could cause some issues around Christmas as the tailbacks into the city could grow longer, but B&NES Council is already looking to upgrade the junction at the Lambridge roundabout. That work will go ahead regardless of whether the park and ride does, he said. The idea predates the B&NES Council’s clean air zone proposals for Bath but Cllr Shelford said it gave the council new impetus to press ahead with it. Mr Andrews, an engineer, said it was “fantastic” his idea was being considered because it was an obvious solution that avoids “polluting” the meadows. His original suggestion was for the park and ride to be connected to a tramway. Rather than the 100 or so spaces Cllr Shelford suggested, Mr Andrews said his calculations showed the bypass could actually accommodate nearly 1,000 cars, if the whole length was used – or even more if a “mezzanine” level was built. The £45million road opened in 1996. Cllr Geoff Ward, who represents Bathavon North on B&NES Council, said Batheaston had always been “massively jammed” with traffic and the bypass had helped to resolve that. But after impassioned protests, he said it did not cross the valley as had originally been planned, so its full potential has never been realised. London Road remains congested. 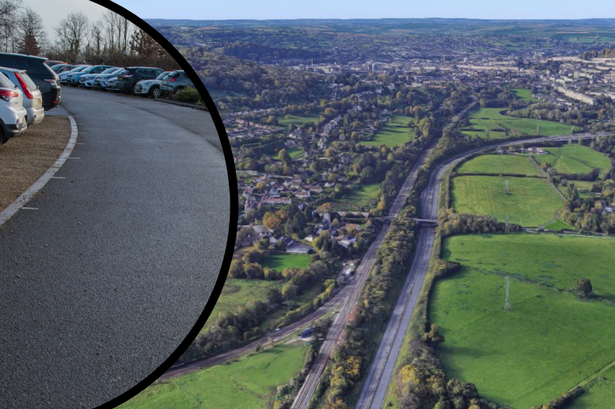 He said Batheaston and some of Bathampton are already treated by commuters as an unofficial park and ride so he welcomed the efforts to alleviate the issue.